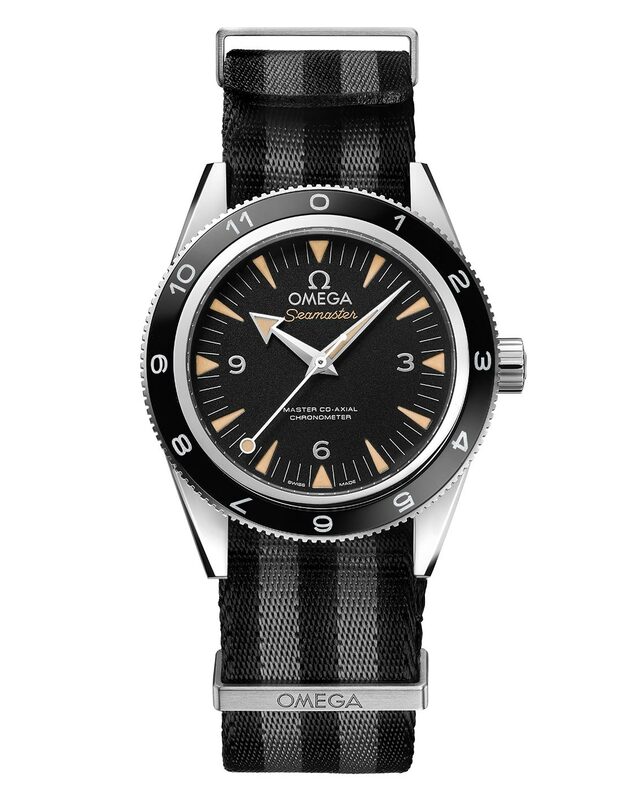 The Omega Seamaster has been James Bond's watch since the GoldenEye movie in 1995. With its naval history and classic style, the watch well reflects Bond’s character, a Royal Naval Reserve Commander before becoming the MI6 agent. On occasion of Spectre, the latest 007 episode, Omega released the Seamaster 300 Spectre Limited Edition, the watch that Daniel Craig wears in the movie. The watch features a bi-directional, rotating diving bezel, made from black, polished ceramic, combined with a LiquidMetal 12 hour scale. LiquidMetail is a zirconium-based alloy that offers incredible hardness and resistance to corrosion and scratching. 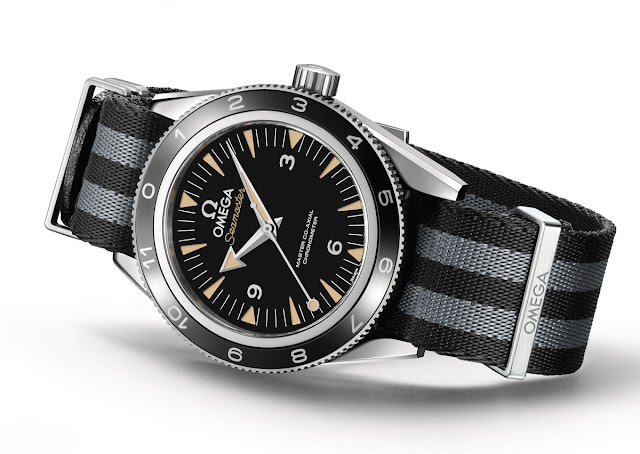 Other unique features include the "lollipop" central seconds hand, with a circle to replace the arrow used for the original version, as well as the 5-stripe black and grey NATO strap. On the bracelet's strap holder, the 007 gun logo has been engraved. Each watch has its own unique serial number engraved on the back along with the Spectre film logo. 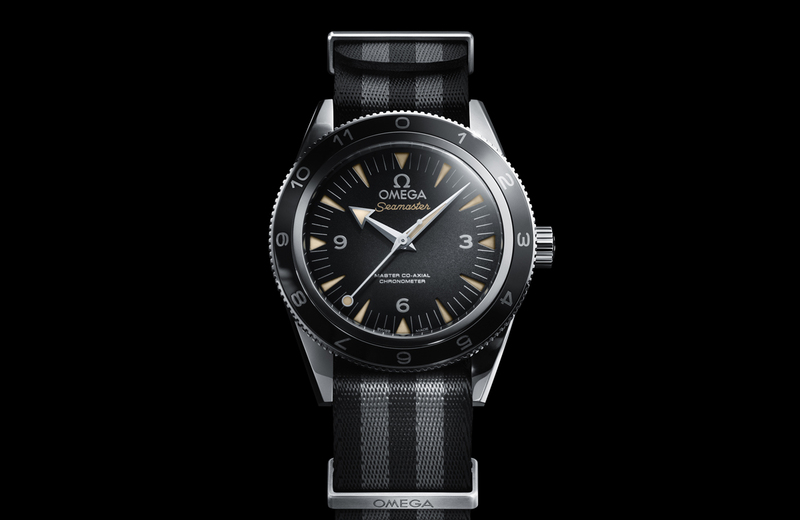 The 41 mm steel case is powered by the Omega Master Co-Axial calibre 8400, resistant to magnetic fields greater than 15,000 gauss. The watch is water resistant to 30 bar (300 metres / 1000 feet) and comes with a four-year warranty. Omega Seamaster SPECTRE. Omega Seamaster 300 Spectre Limited Edition. 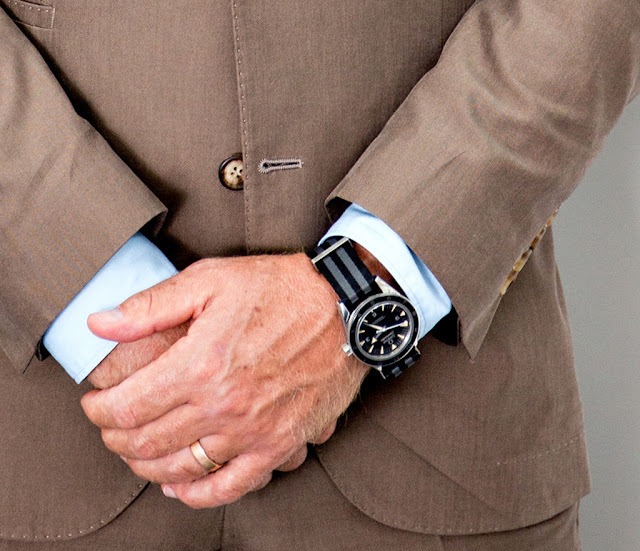 The Seamaster has been James Bond's watch since 1995. With its naval history, the watch reflects Bond’s character, a Royal Naval Reserve Commander before becoming the MI6 agent. 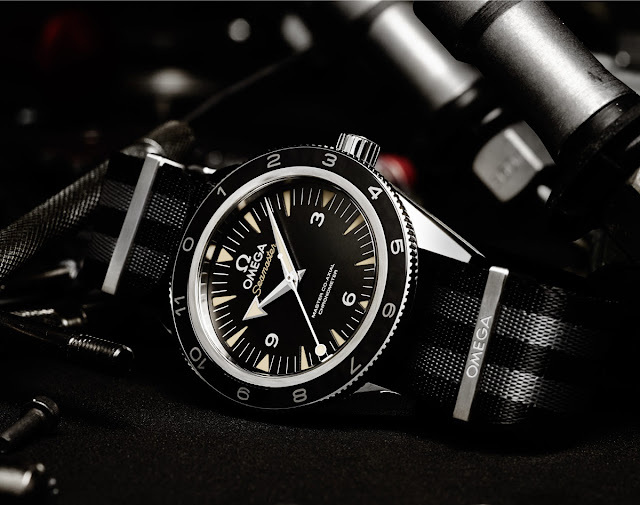 On occasion of Spectre, the latest 007 episode, Omega released the Seamaster 300 Spectre Limited Edition, the watch that Daniel Craig wears in the movie. 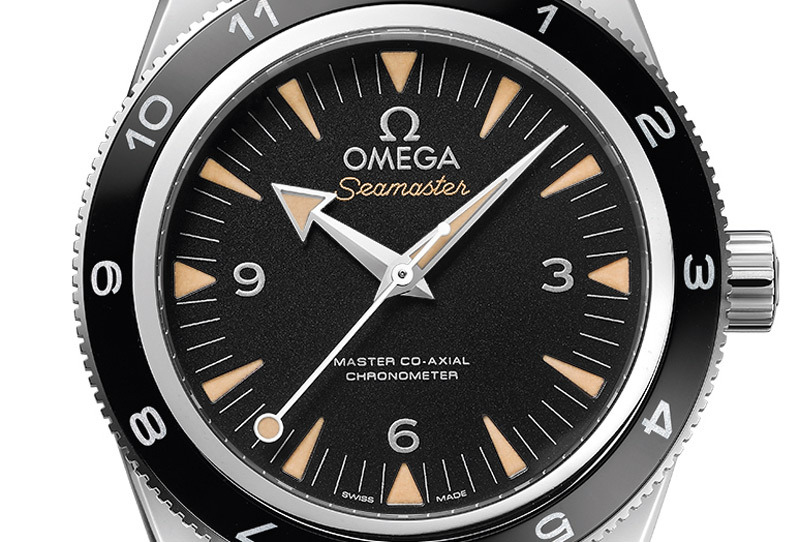 Only 7,007 pieces of the Omega Seamaster 300 Spectre Limited Edition will be produced. Price: Swiss Francs 6,300.